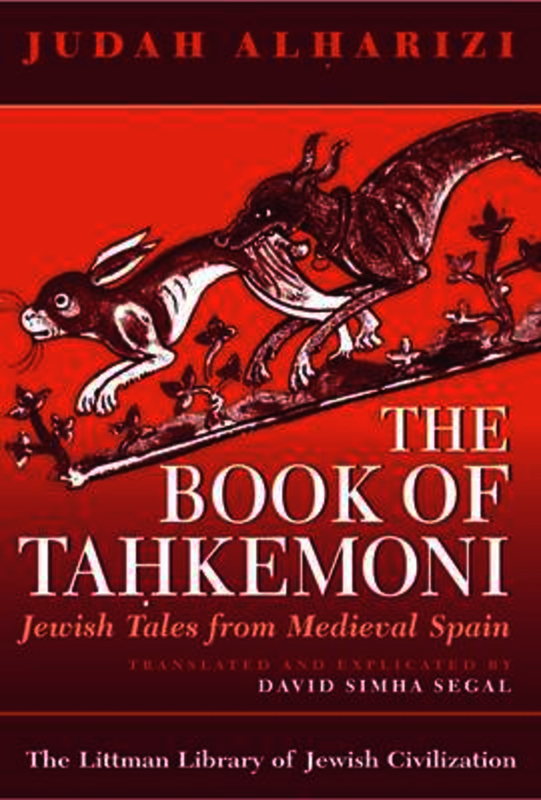 The Book of Tahkemoni (The Book of Wisdom or the Heroic) is widely regarded as the crowning jewel of Hebrew maqama literature —rhymed prose interspersed with verse. In its fifty unlinked episodes we repeatedly encounter the somewhat roguish protagonist, Hever the Kenite, often disguised and assuming many and varied roles—teacher, beggar, adventurer, debater, magician, and so on. Whether preaching, spinning history or fantasy, or working a crowd, Hever the Kenite is ever a consummate story-teller and wordsmith enlightening or astounding his listeners. The author, generally considered to be the last major Hebrew poet of Spain, displays great scope, moving from prayers to tales of battlefield carnage, from philosophic reflection to droll satire targeting the pompous, the ignorant, and the mean. The whole is conveyed in a sensuous interweave of rhyme and rhythm, of literal and figurative speech, and copious biblical citations manipulated to serve unusual ends. David Simha Segal's translation captures the drama, wit, and satire of the original in a contemporary English that displays vigour and a sense of fun. Detailed annotations, printed on the same page as the text, identify the numerous allusions. Analyses of each chapter bring the reader more deeply into the text, illuminating plays on words, adroit uses of the frame tale, adaptations of Arabic and Hebrew literary conventions, and other subtleties of the original. A substantial Afterword sums up major features discussed in the analyses, especially the authorial game of hide-and-seek in the characters of the protagonist and the narrator. David Simha Segal is Emeritus Senior Lecturer in Medieval Hebrew Literature at Ben-Gurion University of the Negev, Beersheba. Author of many studies of the Hebrew belles-lettres of Spain and a published poet, he has also translated modern Hebrew novelists, essayists, poets, and short-story writers. David Simha Segal is Emeritus Senior Lecturer in Medieval Hebrew Literature at Ben-Gurion University of the Negev, Beersheba. Author of many studies of the Hebrew belles-lettres of Spain and a published poet, he has also translated modern Hebrew novelists, essayists, poets, and short-story writers. Gate 42: Generosity or Greed—Which the Better Creed or Deed?